About the group A small school group based in Parkfield House, Paignton, Torbay. 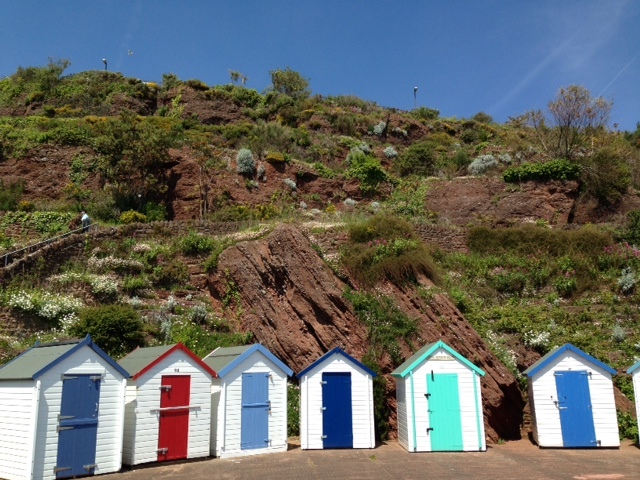 Doing a local history project about Torbay beaches. This is the film showing the group researching using this website, their local reference library and on location around Torbay. 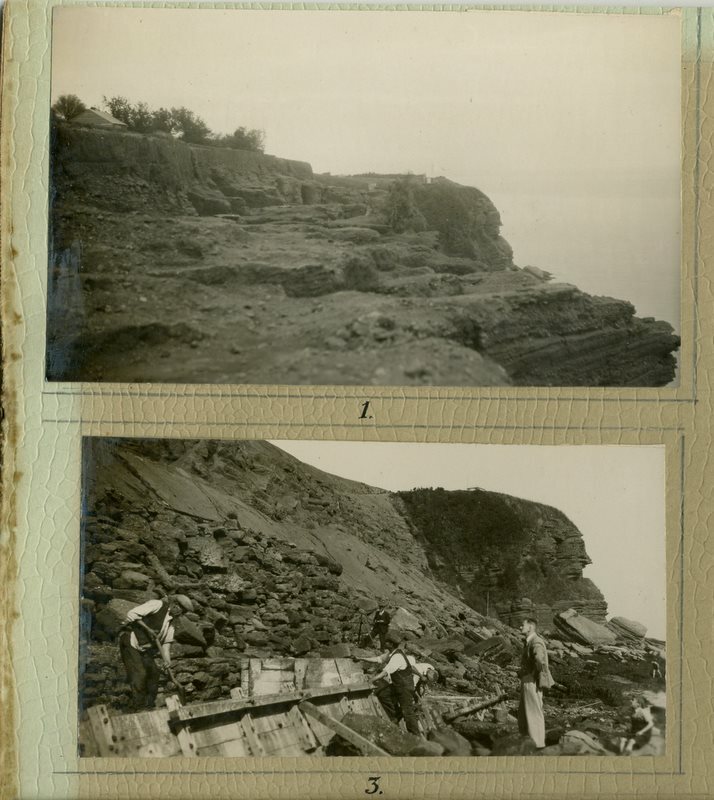 This picture is taken from the same location as the picture below, Vane Hill, Torquay in early 1900s. 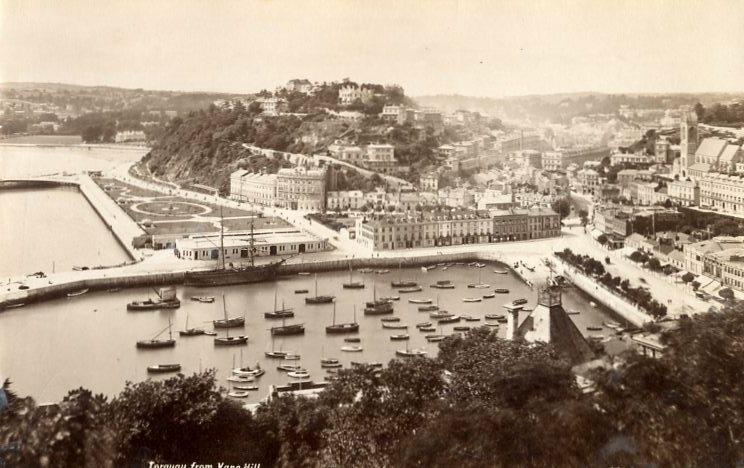 It shows the the pavillion and other buildings not there in the original and the use of the inner harbour and marina. 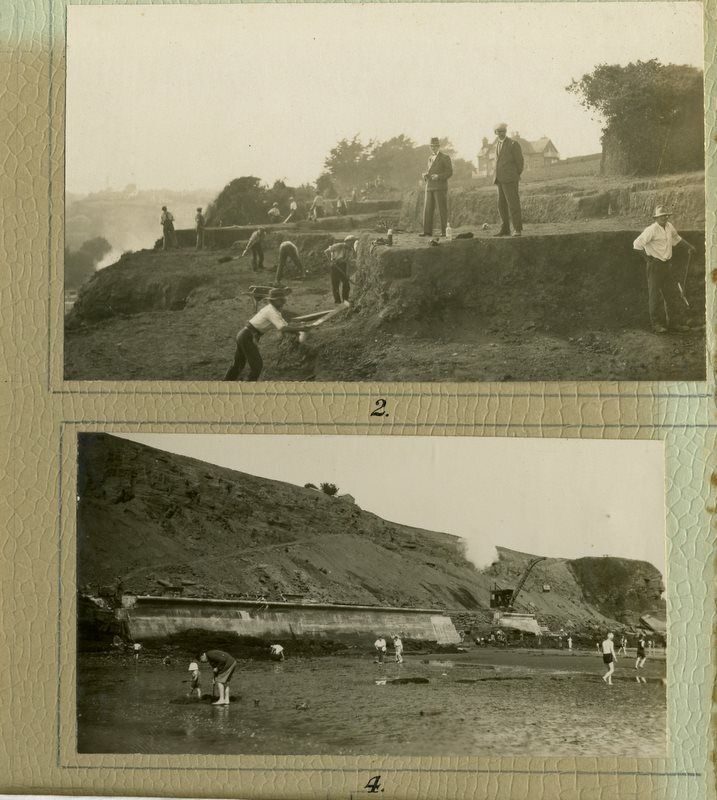 The end result of all the hard labour by the Welsh miners brought in to do the construction of Goodrington prom and rock walk. Today used by fishermen both local and holiday makers to catch mackerel and much more. This picture shows some of the many paths in the background snaking down the cliff (see the person to the left) to the prom where beach huts sit in the summer. 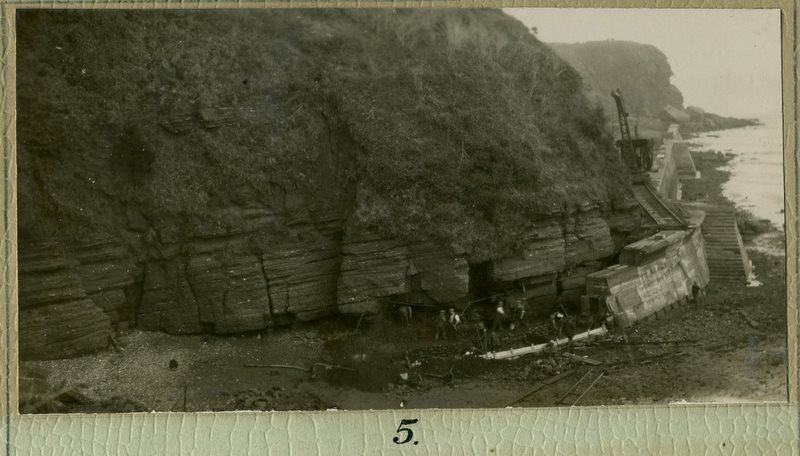 Also the geology of the cliffs is laid bare to see the effects of when it was a tropical coral reef, a forest and when the continents crashed the vertical rocks. This picture was taken May 2014. 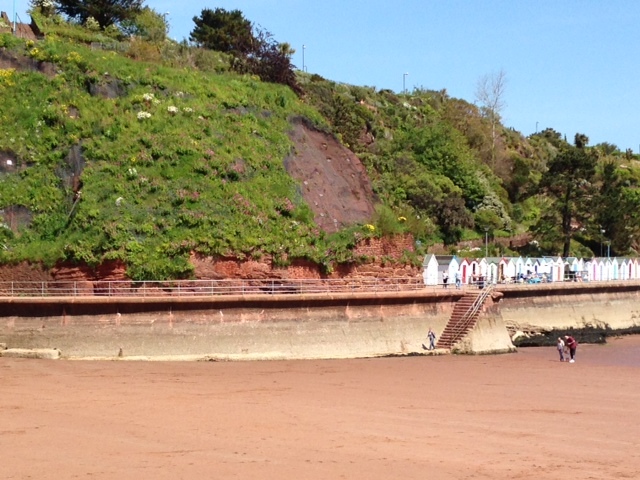 You can see the prom as it looks today with the wall round the cliff. Protesters campaigning against further developments of the harbor. They told us about the " three ugly sisters" seen in the previous photos. They are opposed to a new block of flats a and carpark on the green. 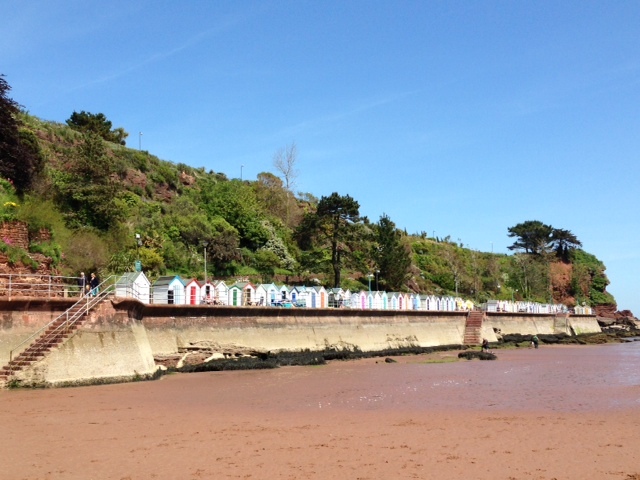 This shows the harbor side from a bridge in Torquay which crosses the harbor entrance. This was taken form the wheel seen in previous photographs. 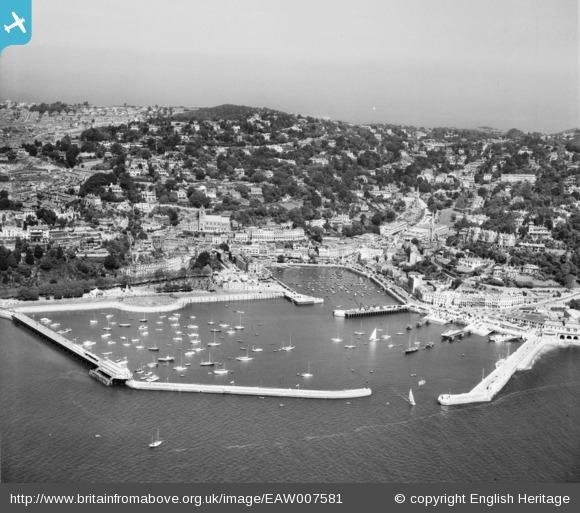 It shows the bay in the background with Brixham on the left and Paignton on the right. 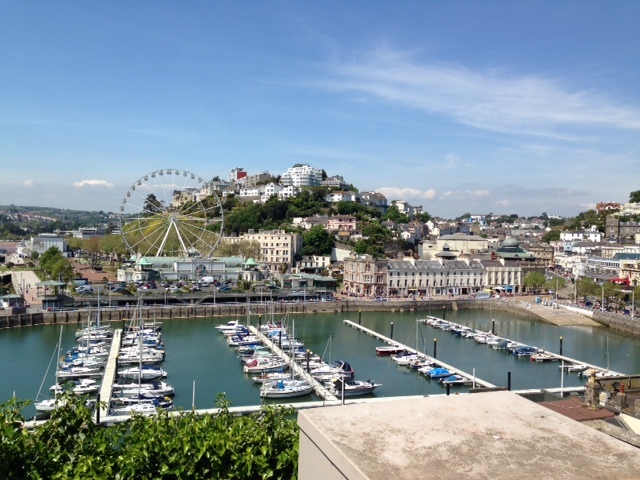 This photograph was taken from the roof of the Regina hotel in Torquay. English heritage provided some money to complete restoration work on this hotel. 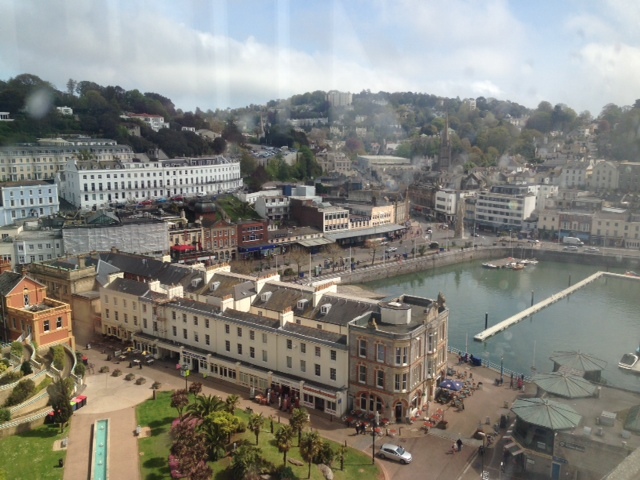 this picture shows Torquay harbor. 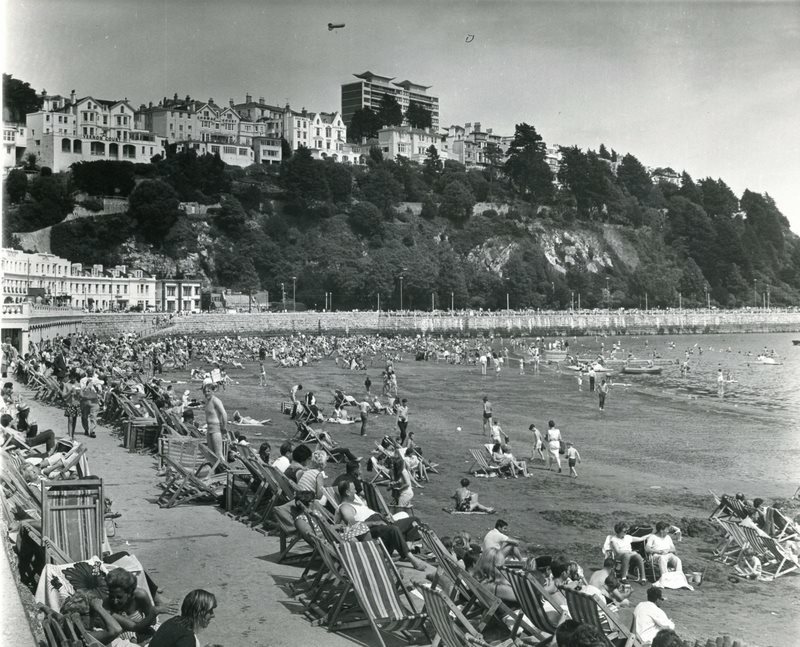 July 1967 Torre Abbey sands, Torquay. Balloon in the background shows height of proposed hotel.